It’s hard to believe another Christmas has come and gone and we are in 2012. Remember when we were all worried about Y2K? This year the talk is about the Mayan calendars. Are you concerned? Fortunately, I just don’t worry about things like that because I know I have no control over whether anything happens or not. Besides, it is rather depressing to think about. I’m furiously working on the new 6300 Series of “Creative Living.” The segments have been chosen for some time now, but all the rest of the paperwork is “in the works.” Actually today I posted the elements of the 6300 Press Kit online so other PBS stations can access them and start planning their Spring line-up — which I hope will include “Creative Living.” If you happen to support your local PBS station, I sure would appreciate you contacting them and requesting that they schedule the upcoming 6300 series of “Creative Living,” which starts May 7th — and it’s a FREE offer. It really does make a difference if a station hears from their own viewers about wanting to see a specific show. Each time I start a new series, I contact my dear friend and co-worker, Wanda Newberry to design a new postcard and booklet cover — and this one may be my all-time favorite. I love the turquoise color. Let me know what you think. Thanks Wanda for being so creative. Speaking of new booklet, now that the other ele ments for the new series are coming together, I will start working on the new booklet. This is really my favorite thing to do. I love working in InDesign and featuring the recipes, instructions and other materials that my guests have provided when they were here to tape. I will be taping bridges for all 26 shows of the new series next week. It’s a lot to do at one time, but we all agree we like to get them done and not have to repeat the process for another 6 months. Jacob Workman is the one who edits all the shows, and he does such a great job. Thanks Jacob for all you do to make me (and the show) look as good as possible. I always wonder if anyone ever reads a blog, but I can happily report that I had two people contact me about being on the show after reading the article I wrote in November. I was so excited when they told me they had read that I was looking for guests to tape in 2012 – and they are scheduled to do so. 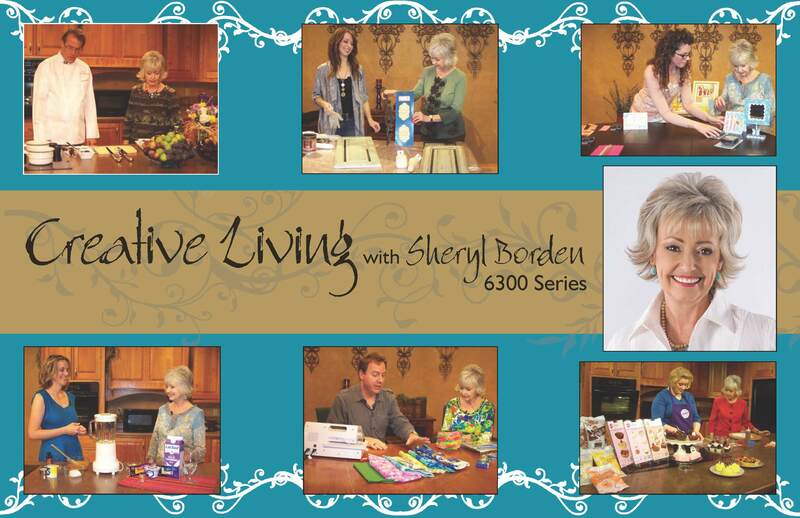 Our January “Creative Living” newsletter is also available on our website. If you are interested in reading it, just go to: http://mediad.publicbroadcasting.net/p/kenw/files/201201/Newsletter_28-January_2012.pdf. I’m trying something different this month – based on comments from readers. Instead of writing the complete article on topics, I am providing a link for more information. As I say in the newsletter, let me know if you like this format better.